SALMON, Idaho (Reuters) – Wildlife advocates are ramping up their campaign against the annual culling of bison that roam onto state lands in Montana each winter from Yellowstone National Park, erecting dramatic billboards showing buffalo bleeding in the snow. The billboards are the latest effort in an ongoing campaign by opponents of a years-long practice aimed at reducing the number of Yellowstone’s bison to protect against disease transmission and lessen the damage to land in and around the park, which spans parts of Montana, Wyoming and Idaho. This year, wildlife managers aim to reduce the herd by up to 1,300 animals, the largest amount in nearly a decade. His group is urging the state’s Democratic governor, Steve Bullock, to stop bison destined for slaughter from being trucked through the state. The outsized road signs, painted by a Montana artist and bison activist, depict fallen bison with blood drenching snow and the words, in capital letters, “Stop the Yellowstone massacre!” Two billboards went up this week and two more are slated to go up later this month. Wildlife advocates have also held rallies and a candlelight vigil against the severe cull. 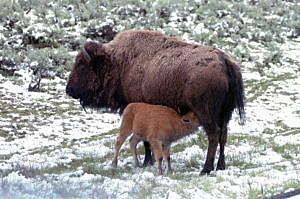 The bison targeted for hunting and slaughter are among those that migrate into Montana each winter from Yellowstone. This year, the herd, the last remaining wild purebred bison in the United States, has swelled to 5,500, much higher than the target of 3,000 sought by wildlife managers. When the herd gets too big, wildlife managers say, it can damage land through over-grazing. 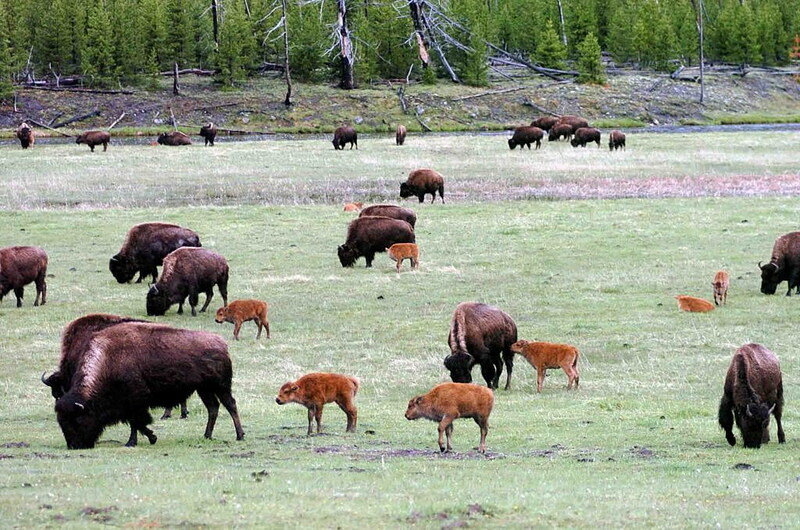 And Montana ranchers fear bison will transmit to cows a disease that causes them to miscarry. In December, federal, state and tribal agencies responsible for managing the herd said they would cull between 900 and 1,300 bison, one of the largest amounts in the history of the park. Jay Bodner, natural resource director for the Montana Stockgrowers Association, said the push to cull the herd is linked to the impacts on the landscape by too many animals. “There needs to be management protocols in place to make sure bison aren’t over-utilizing and destroying the range,” Bodner said.